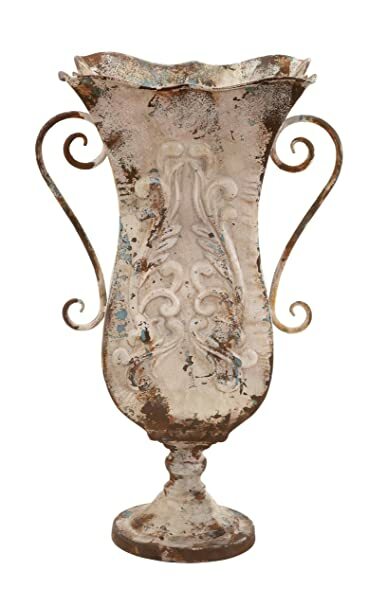 28 inch old world charm iron metal umbrella stand whimsically umbrella sculpted base and embellishments in distressed antique bronze finish. Suitable to use as a decorative item. Unique home decor. This product is manufactured in China. If you are left with small space in your room and you want to use this space purposely with decor perspective, have a look over 30795 ALUMINUM ACCENT TABLE. Size: 22″H, 16″W. Polished aluminum finish. Exhibits special liking for home decoration. Designed for elite class decor enthusiasts Classic decoration that attracts everyone. Rust free premium grade ALUMINUM metal alloy. 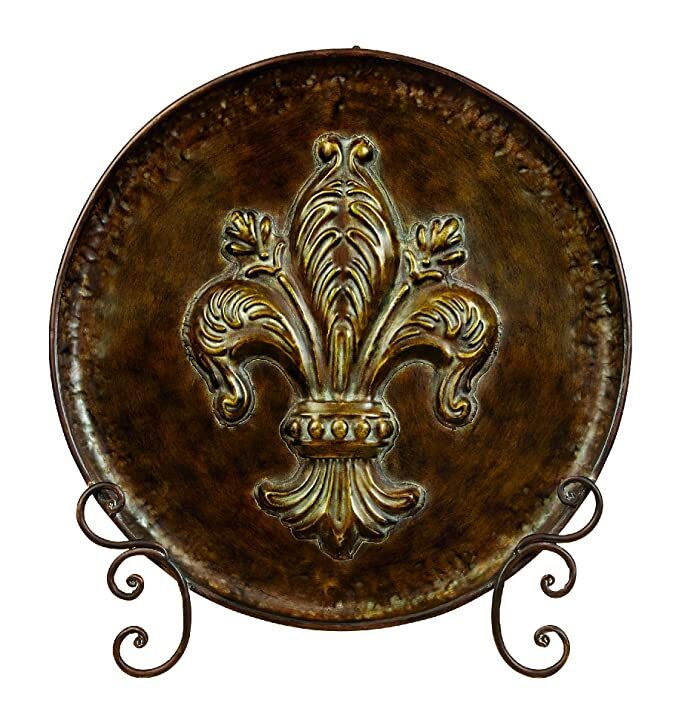 21 inch French country inspired distressed rusted beige finish iron tall urn planter with double scrolled handles and raised relief Acanthus leaf motif, square scalloped opening on round pedestal base. This product is manufactured in China. 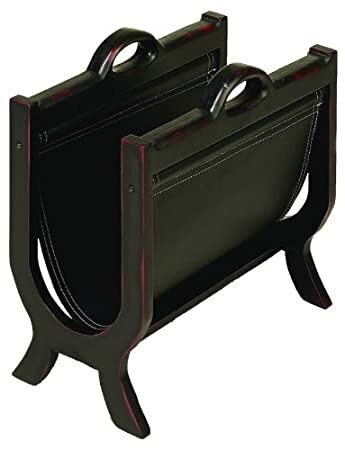 16 inch updated traditional wood magazine holder in burnished rich deep espresso featuring matching leather sling with intricate stitching and accent embellishments. Suitable to use as a decorative item. Best for both indoor and outdoor use. This product is manufactured in China. 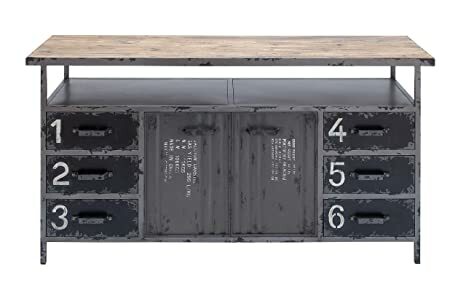 True industrial style metal utility cabinet with a wood tabletop over a brownish-gray distressed metal body. Two metal doors open into a large metal cabinet space in the center, and 3 metal drawers on each side (totaling 6 drawers) offer even more storage space. The front of the repurposed cabinet doors read weight info and numbers with PORT OF SHANGHAI and CALCIUM CARBIDE, GAS YIELD 295 L/KG, N.W. : 100KGS, GW: 106KGS, MADE IN CHINA, TNAKAL CHEMICAL in white paint. The 3 metal side drawers have large white numbers, labeling them 1-6. 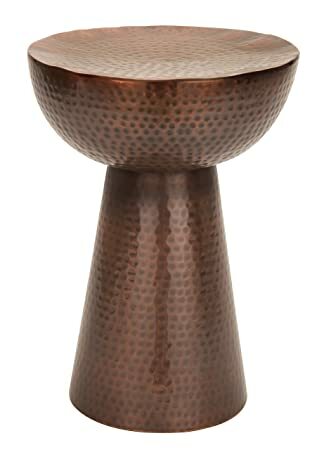 20″ Global Inspired Hammered Bronze Finish Metal Pedestal Stool, flat top and base. This product is manufactured in India. 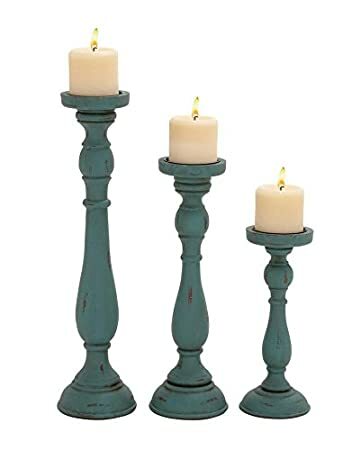 Set of three 19″, 15″, 11 inch updated traditional wood candle holder in teal with distressed finish featuring elongated base with scalloped embellishments. This product is made in China. 67 inch updated traditional bronze finish iron differing height hanging barrel candle lanterns with punched scroll design and loop handles on standing metal frame with curled branches, circular open pedestal base. This product is made in China. 34089 wood wall panel 2 assorted is ultimate in decorative panel category. It comes as a set of two attractive wall panel sculptures. Each panel is carved and painted in different style with ultimate standards of handicrafts to add variety. The top edge and bottom edge of panels are smoothened for safe handling. More than normal height and width delivers more wall coverage making it gorgeous wall decor panel set. 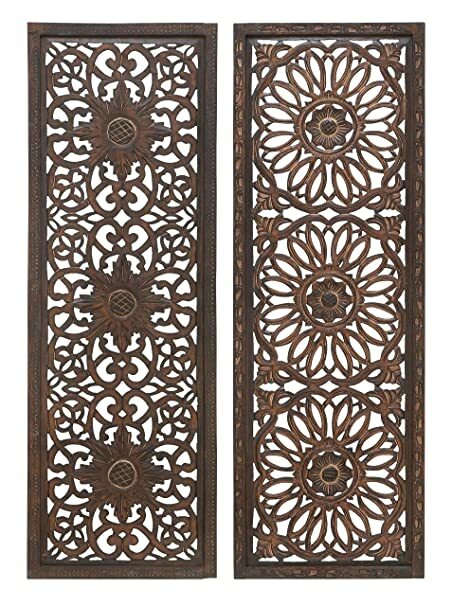 Both these panels can be placed at one place or in different rooms to blend the antique wall decor flavor with existing decoration. This royal class wall panel wood sculpture set can be used anywhere I.E. In lobby, rooms, reception area in office, corridors, country homes and garden huts etc. 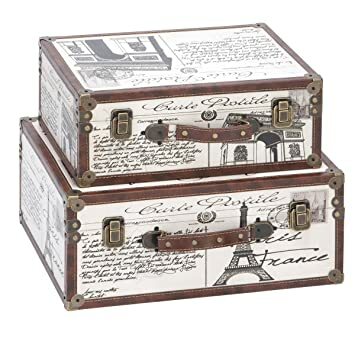 Set of two 17″ and 15″ old world charm rustic wood-style miff and synthetic leather “carte Postal” rectangular cases, suitcase-style miff boxes with worn-finish white synthetic leather covering, brown synthetic leather with brown stitching strap edging and strap handles with brass-finish attachments and tacks, 2 tarnished brass-finish latches and round corner reinforcements, black printed Eiffel tower, arc de Triumphed, postmarks and calligraphy illustrations and typography “carte Postal Paris France”, cases open to hollow interiors. Clock is double sided and made from antiqued metal. 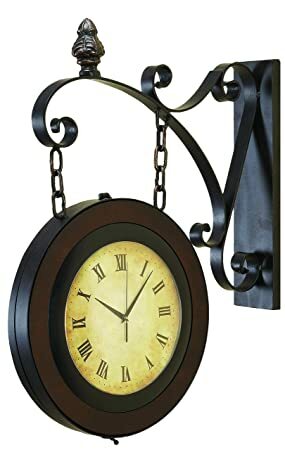 Clock is attached to an elegant metal bracket with detail scroll work. The clock works on 2 AA batteries for each side. 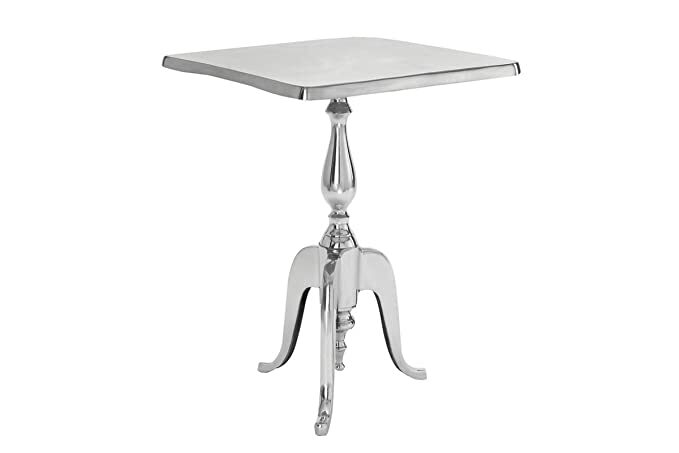 Set of three 12″, 10″ and 7″ new traditional curled iron pedestal cake stands, off-white, solid flat, rimless iron trays with ornate cut-out vine flourish overhang, 3-footed curled-iron pedestal base. 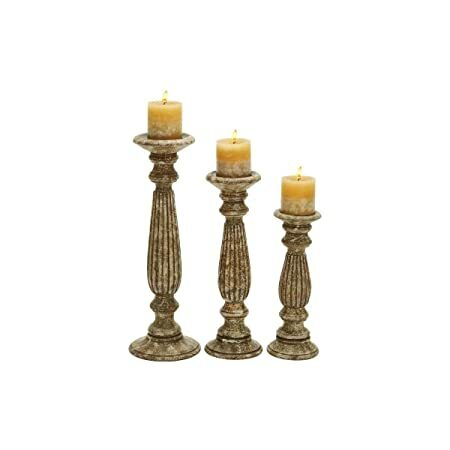 Set of three 18″, 15″ and 12″ updated traditional distressed mocha finish mango wood ribbed teardrop design pillar candle holders, tiered circular bases. This product is made in India. 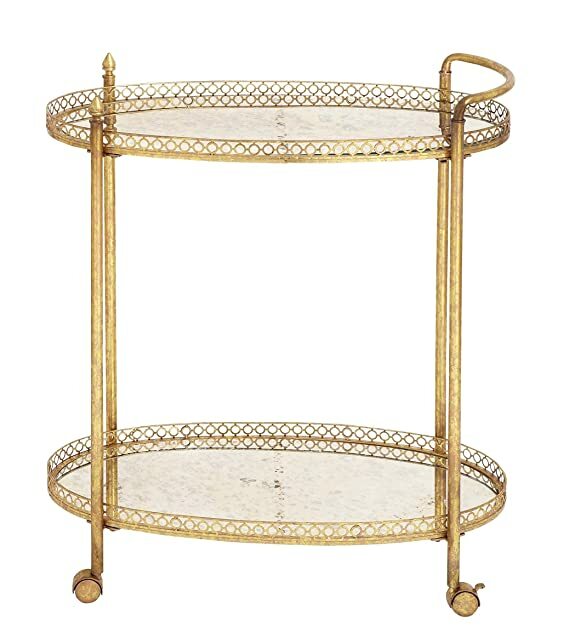 35″ classic modern metal tea roll cart in distressed gold brass with tiered oval base and polished mirror glass counter top featuring scalloped lattice trim.